Getting away from Hummingbirds for a moment, here's another beautiful genus from the Americas...the Tody. This is the Cuban Today, but there are Tody's in Jamaica and Puerto Rico as well. I think the Cuban is the prettiest though! These guys are super cute...very small...not much larger than some hummingbirds. 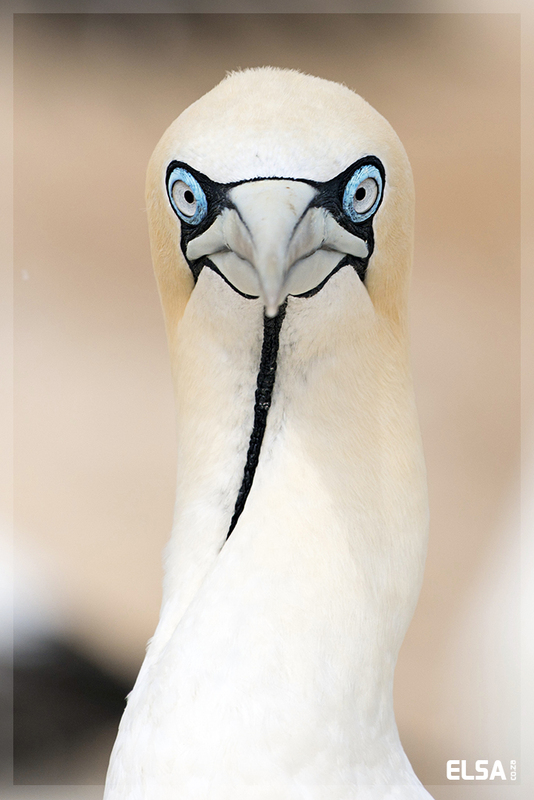 All wonderful photos in this thread, but this one is exceptional @janzin - an otherworldly beautiful bird. Thanks @michael-ibk! I do have to say that I think tropical America has, on the whole, much more colorful birds than Africa. (Of course places like Australia do too...) Just think of all the tanagers, hummingbirds, toucans, trogons, etc. I was looking through my photos deciding which to post here and I got an incredible yearning to return to Ecuador or Colombia! I need a tanager/hummingbird fix! I need a tanager/hummingbird fix! You and me both @janzin! I had the Cuban nTody in mind too, a stunning little bird and very confiding too in my limited experience. Let's not forget Asia has a lot to offer too, in fact we tend to forget what's on our doorstep and enviously look at the big world beyond. In the context of North America, I find Starling murmurations "disgusting". That's because European Starlings are an invasive species here in North America and they compete with and even kill our native birds. For example, more than once I have seen Sturnus vulgaris attack Downy Woodpeckers in attempts to take over the Downy's nesting cavity. They often kill chicks and even adult native birds. That's interesting. So it's not one way traffic then, I'm thinking Grey Squirrels,Mink and Crayfish that are doing much harm here in the UK. In fairness though they all got here thanks to human interference rather than under their own steam so to speak. Another European nomination from me has to be the stunningly beautiful Golden Oriole, Oriolus oriolus which is the Eurasian one. I have seen Orioles in both Africa and Sri Lanka but this one is the prettiest I have seen so far. Perhaps you can show me differently! A bit precarious but worth it for the end result! A beautiful Oriole - though I am not sure I would be too keen to go up in that hide! That's both amazing and terrible to have that much effect on the natural wildlife scene. However, numerically the interference of mankind can be matched numerically and beaten hands down on timescale. PS @TonyQ You are not wrong about the hide either. Getting down from the open hatch to say nothing of slightly dodgy treads on the stairs wasn't the best experience I have ever had! 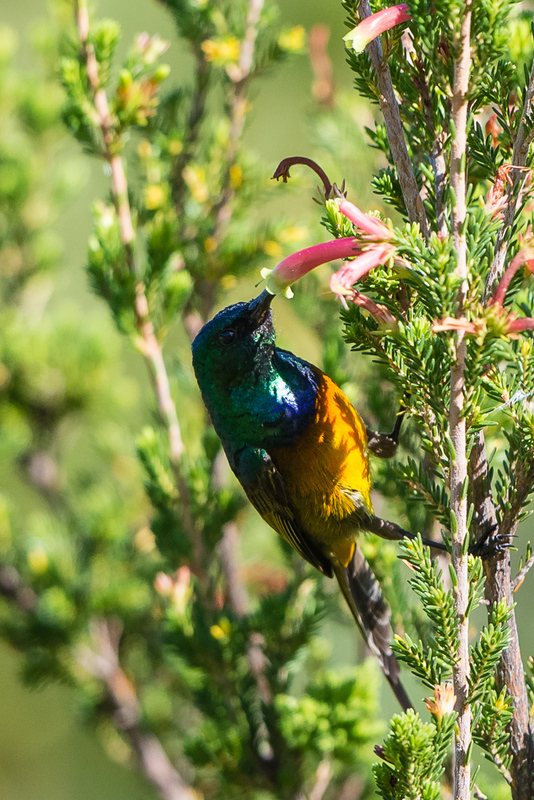 This same starling is now quite common in Cape Town. That motmot is hard to beat! I had no idea they could be found in the pantanal! I think this chestnut-eared aracari is a real stunner! 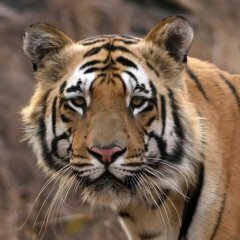 Taken in the Pantanal. I mean, just look at that bill! I read an interesting article the other day, apparently the bills of Toucans and to a lesser extent the african Hornbills are actually radiators. Blood flows in fine capillaries under the outer surface and thus radiate heat as long as the air temperature is lower than the bird's core temperature. They can also shut off the blood flow when it's cold. Did we stall? How about a tanager to keep it going. The South American tanagers are some of the most colorful, beautiful birds in the Americas. And found only in the Americas! This one is less gaudy than some (really!) but one of my favorites. We didn't stall... we were busy! Besides, no time limit on the thread. The Tanager is a cracking looking bird and I'm sure you have a lot more to show us too. 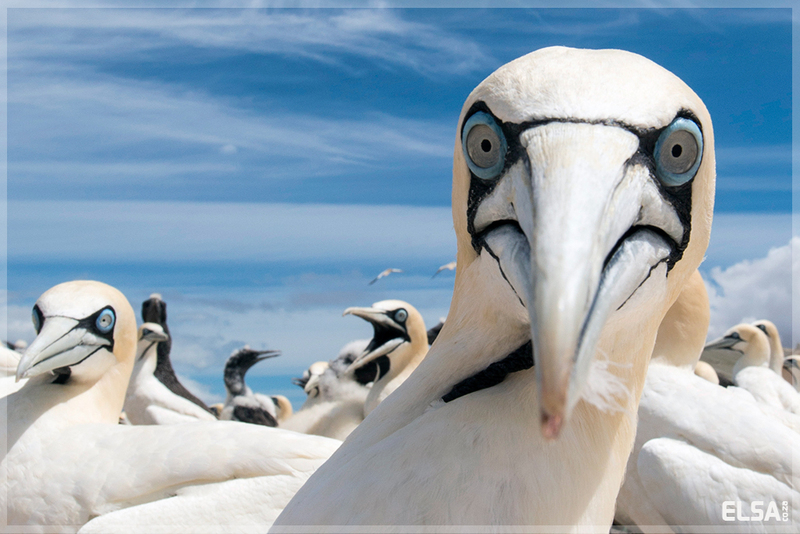 Here is another of the UK's best lookers. The Atlantic Puffin Fratercula arctica. Everyone loves a Puffin, some nationalities even love them to eat too which I wouldn't do . 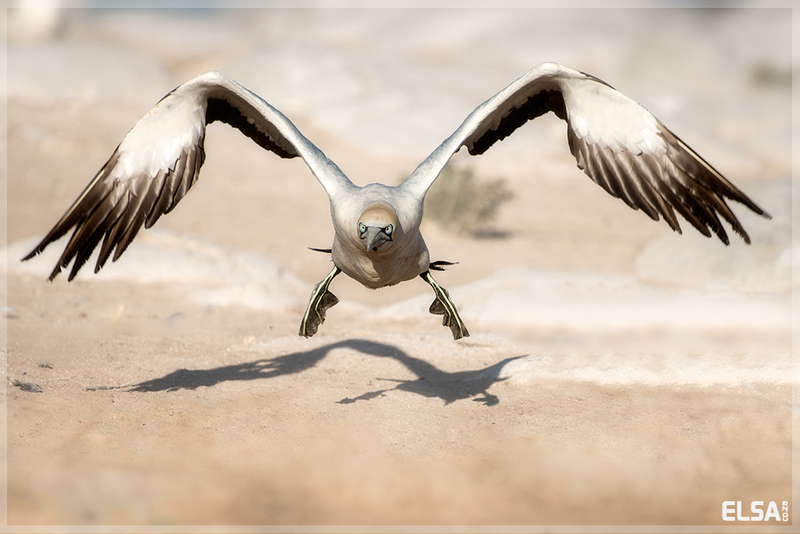 Stunning shots of a very enigmatic bird @Dave Williams. 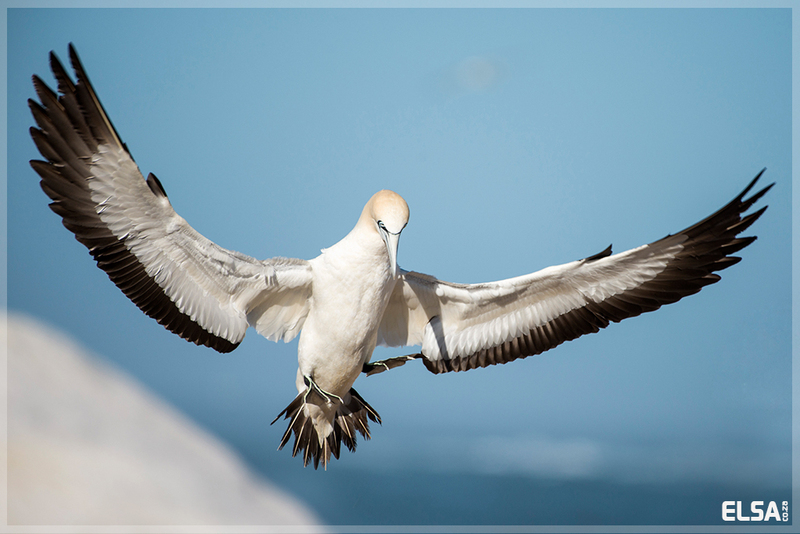 While we're on seabirds, @Elsa Hoffmann, how about spoiling us with a Cape Gannet? Here's one foreign to the UK, Loten's Sunbird.Cinnyris loteniu found only in India and Sri Lanka, this one was actually taken in the latter. The male in display mode showing bright yellow wing patches which are normally hidden and certainly caught my attention if not the females!! I see he's also sticking his tongue out at you? Wow @Dave Williams - what extreme bill curvature on that Sunbird! Sorry for the late response @Peter Connan I have family visiting. And it IS as they say - family are like fish - after 3 days they go off. 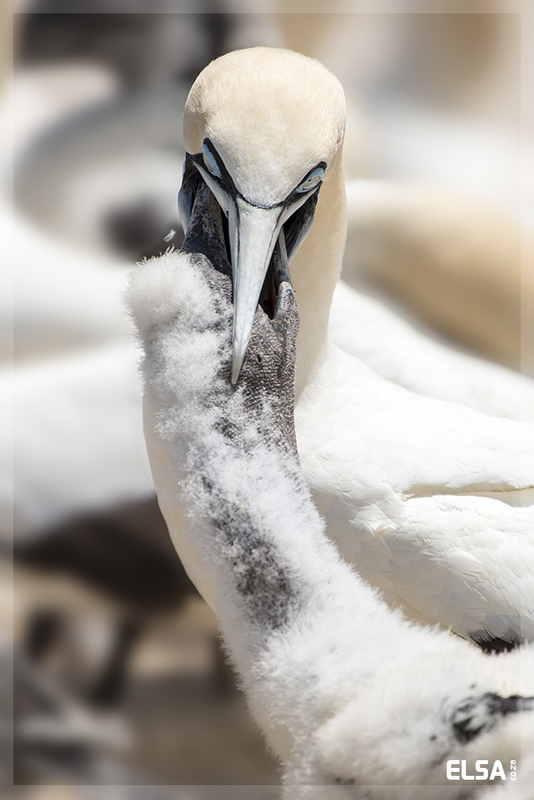 I had the privilege to spend 5 days in the middle of a Cape Gannet breeding colony. And I mean in the middle. I simply cant post all my favourites - it would fill up several pages. Thanks @Elsa Hoffmann. Incidentally, I agree with @Dave Williamsregarding the quality of your work. The second one in particular has been a favourite of mine for a long time, but the last one is almost perfect (and I only say perfect because it has been drilled into me from an early age that nothing is ever perfect). 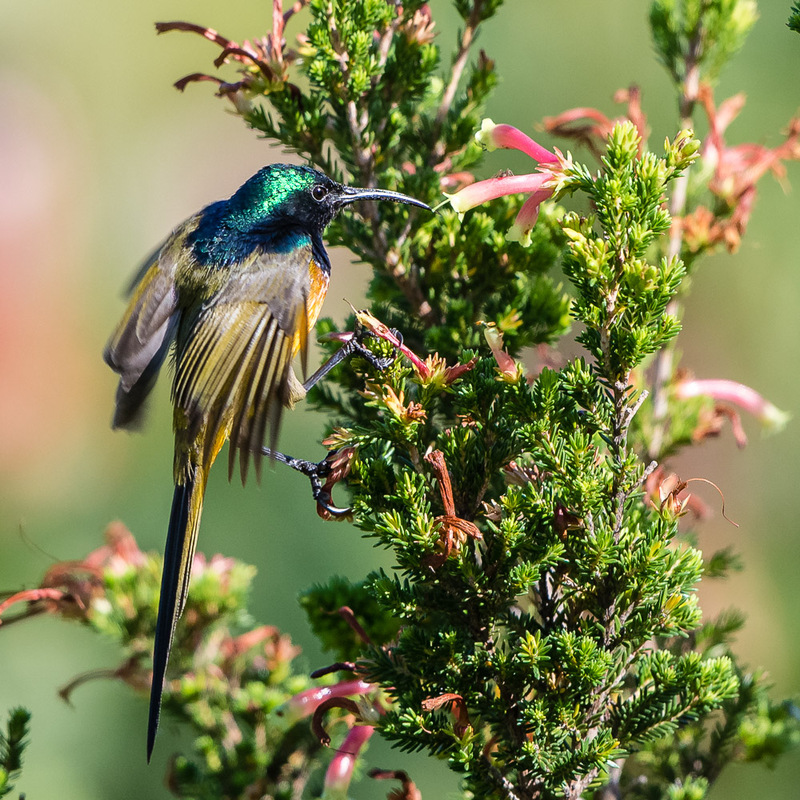 How about another sunbird, the Orange breasted this time (I suspect @Elsa Hoffmann has better examples in her archive).